For all the above categories Single Entry fee is : SR 2000/-. c. SR 8000/- for 2 years. Payment : To be paid in the Enjaz system in home country. 1. Educational (Private) - SR 2000 to be paid in Enjaz in home country. 2. 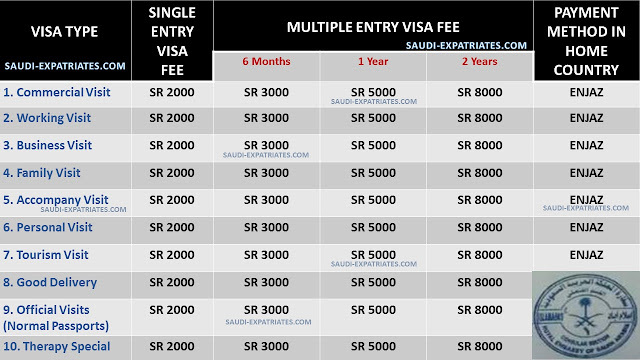 Umrah Visa and Hajj Visa - First time free, From Second time SR 2000 to be paid in Home country through Enjaz. 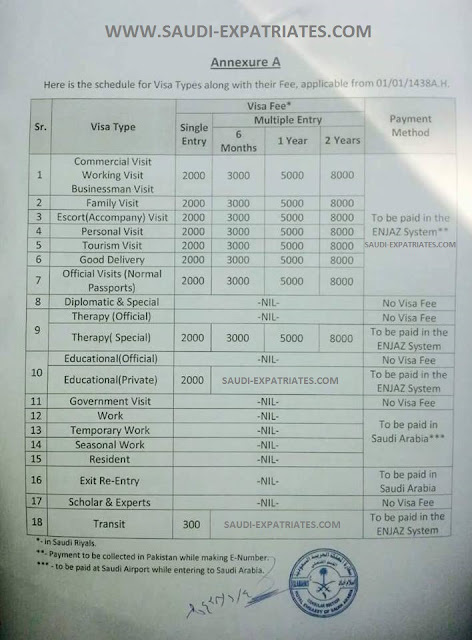 TRANSIT VISA : SR 300/- To be paid in Enjaz in home country. you can extend by another 3 months (total 6 months or 180 days) only at 100 SAR only.